You are currently browsing the tag archive for the ‘Adding value to your home’ tag. 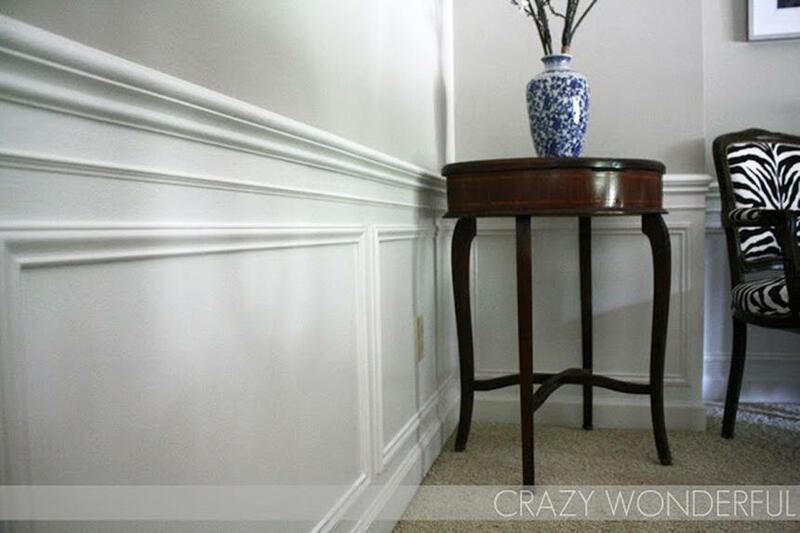 If giving your home a fresh coat of paint isn’t an option for you, we have you covered. 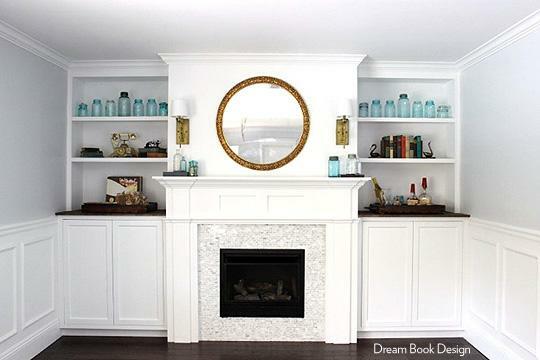 Here are some low-lift ways to decorate with the 2019 Colors of the Year. Energy-efficient upgrades not only shrink your utility bill, they can increase the value of your home. Getting a quick energy assessment or a more thorough energy audit can determine how much energy your home uses, as well as which upgrades would make the most sense for your home and finances. An audit may include an energy rating, a number that indicates how energy-efficient your home is and how much it will increase if you make recommended upgrades. The Department of Energy (DOE) website lists ways to find assessors in your area. The Environmental Protection Agency’s Energy Star program offers assessor and advisory services to help you determine what to upgrade. Your utility provider may also offer energy audits. 1. Insulation. A 2016 Cost vs. Value report from Remodeling magazine found that the average attic air-seal and fiberglass insulation job costs $1,268, with an added value to the home at resale within a year of completion of $1,482. That amounts to a 116 percent return on investment. And according to Energy Star, homeowners can save $200 a year in heating and cooling costs by making air sealing and insulation improvements. 4. Windows. Replacing the windows in your home may cost $8,000 to $24,000, and it could take decades to pay off, according to Consumer Reports. You can recoup some of that in resale value and energy savings. Remodeling’s Cost vs. Value report found that installing 10 vinyl replacement windows, at a cost of $14,725, can add $10,794 in resale value. Energy Star estimates that certified windows, doors and skylights can reduce your energy bill by up to 15 percent. If you’ve already tightened the shell of your home, installing a set of new windows may not be worth the cost. But the upgrade may be worth considering if you live in a colder climate. These residences are outfitted with the finest in workout equipment and space, proving that you don’t have to go far for fitness. Watching athletes from around the world compete in Rio de Janeiro for gold will inspire many to hit the track—or the pool, tennis court, or basketball court—and set a personal best. For most, that will involve a trip to the gym or at least another facility with the capacity for such activities. Not so for the owners of these luxurious retreats, where an on-site fitness center is a key attraction. 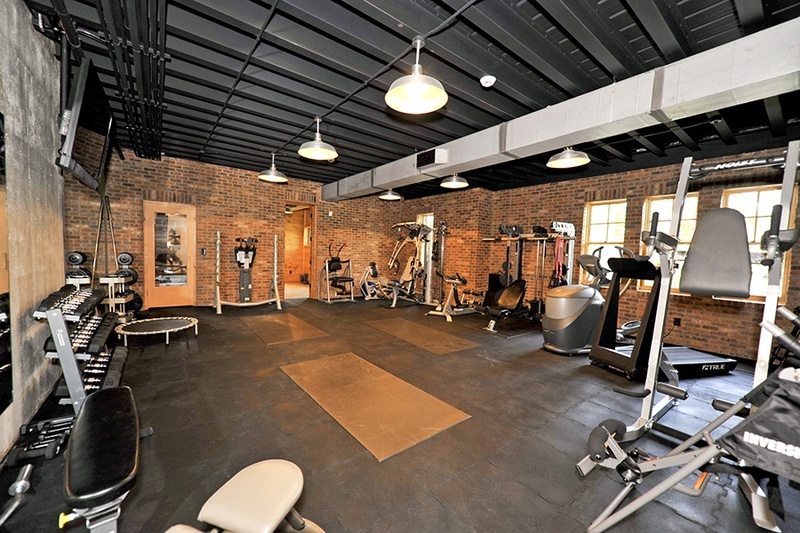 From personal weight-training equipment to private saunas and even indoor basketball courts, upscale fitness amenities make it entirely possible to train like an Olympian right at home. 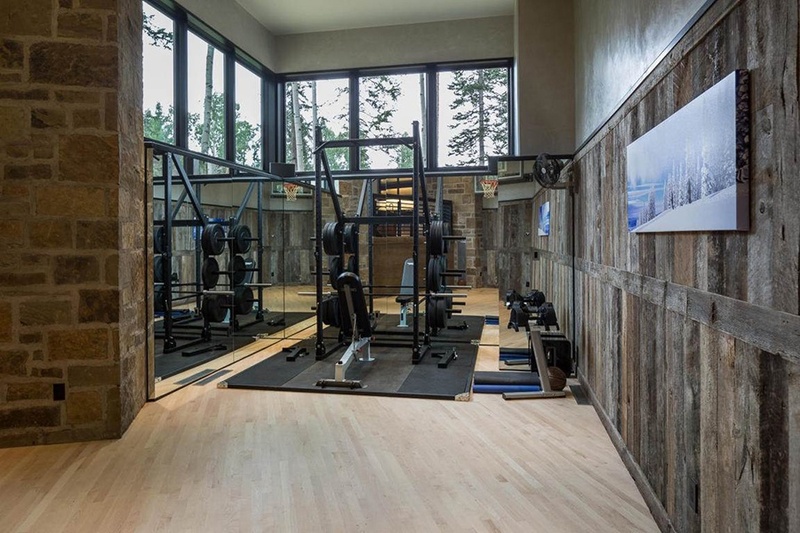 Enjoy an après-ski workout with a view of the trees outside the windows of this Telluride estate, which also has an indoor basketball court. This contemporary estate in the Rocky Mountain ski resort of Telluride, Colorado, presents stunning views of the San Sophia mountain range. With 8,000 square feet of interior space, the home includes three main living areas connected by a series of bridges. 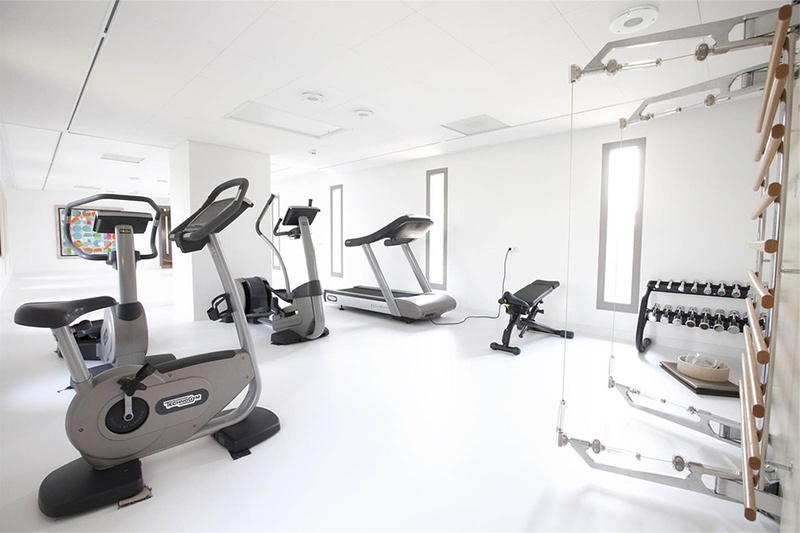 On-site recreational facilities range from a basketball court to a gym with views across the treetops outside. There is also a ski utility wing with access to Telluride’s world-class skiing facilities, which are just a short walk away. 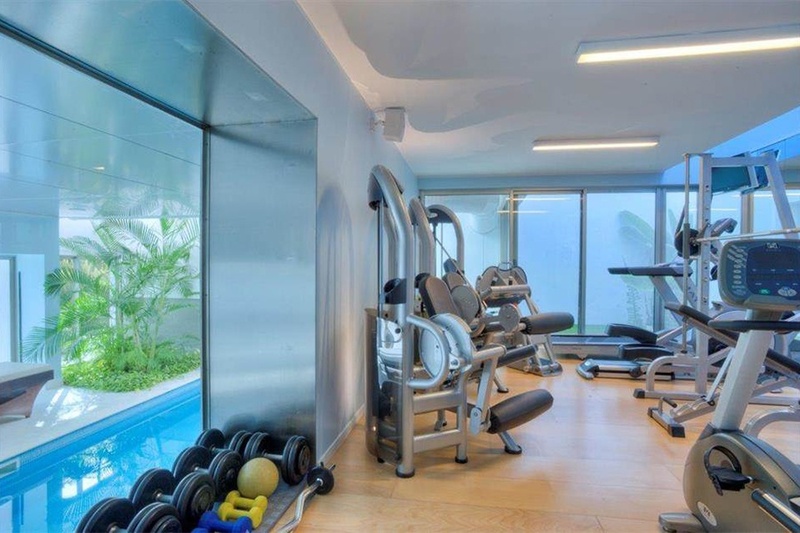 With its tempting view of the pool, this gym serves up a cool setting for a workout in this stunning Lisbon-area residence. A compound composed of six individual penthouses, this impressive building at the edge of the exclusive golf course The Dutch has a separate gym and sauna. This newly built estate located adjacent to a famous and very private golf course outside Amsterdam is actually six independent penthouse apartments—all of which have the potential to be connected—boasting a combined total of 38,179 square feet of interior space. The modern structure, designed in the style of Frank Lloyd Wright, is complemented by a carriage house with a pool, gym, sauna, and Turkish bath. Additionally, a butler’s house provides six bedrooms and kitchenettes. About a one-hour drive from central Amsterdam, this unique property combines the utmost in convenience and indulgence. 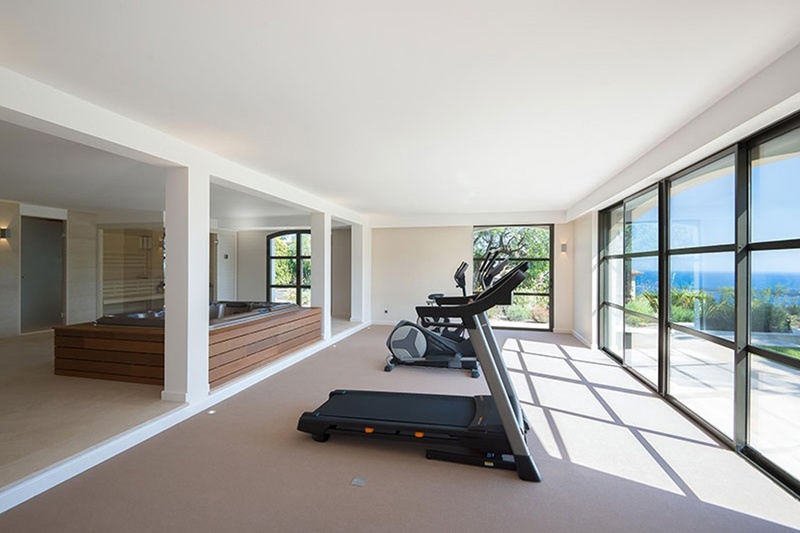 Set up as a professional gym, the workout area of this lakefront house in Georgia provides ample space for exercising. This elegant lake home has warm accents such as reclaimed oak floors and beams, exposed brick and stone, multiple fireplaces, and hand-distressed wood kitchen cabinetry. Situated on Lake Burton—a reservoir of the Tallulah River in northeastern Georgia—the residence is ideal for entertaining guests thanks to its chef’s kitchen, waterfront porch, and fabulous home gym with its own sauna and steam shower. A workshop represents an additional outlet for expending energy and accomplishing a goal. Taking an exercise break in this house is like escaping on a mini-vacation; the workout room with views over the hills of Provence also has a hot tub and sauna. Perched atop a hill overlooking the ocean and the Lérins Islands, this expansive retreat offers 7,201 magnificent square feet of interior space that includes eight bedrooms. 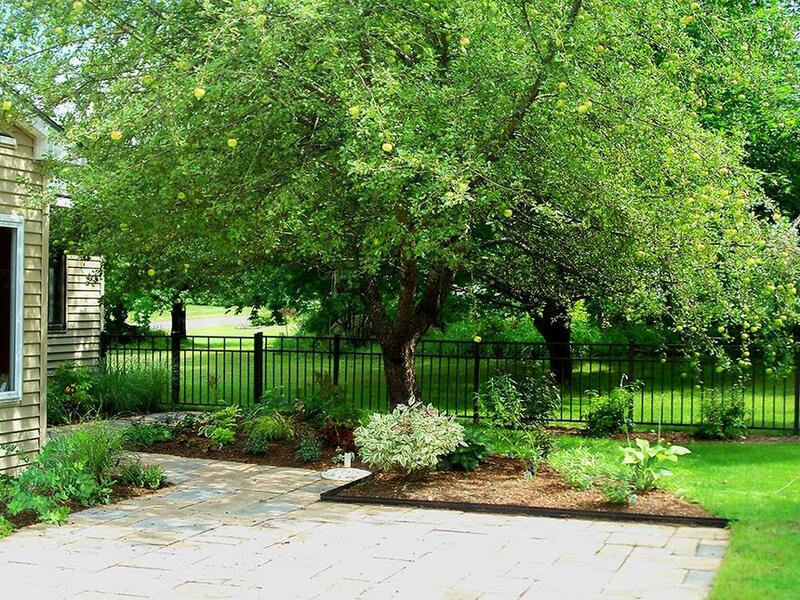 The dramatic grounds also feature a guest house, caretaker’s cottage, pool, and garage. 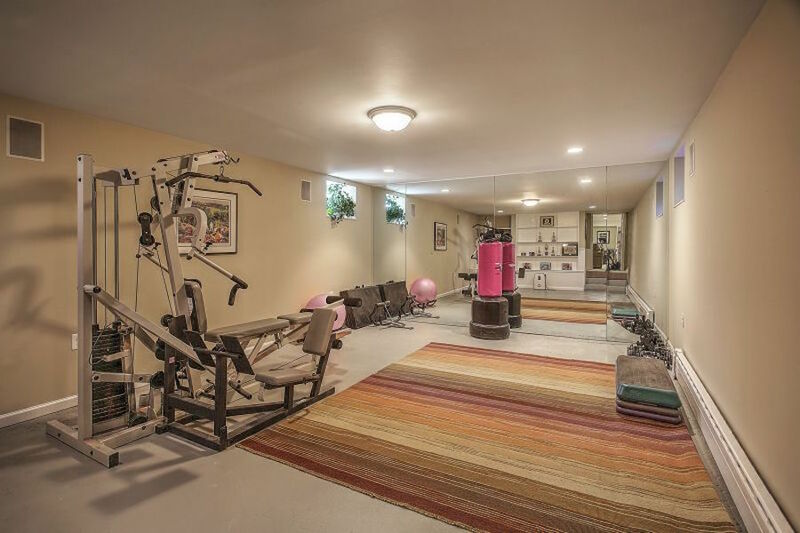 The fitness room in this bright and airy house has large windows plus a sauna and hot tub. The property’s location in the French Riviera—one of the first modern resort areas—makes it an ideal getaway for active travelers, especially yachting enthusiasts. 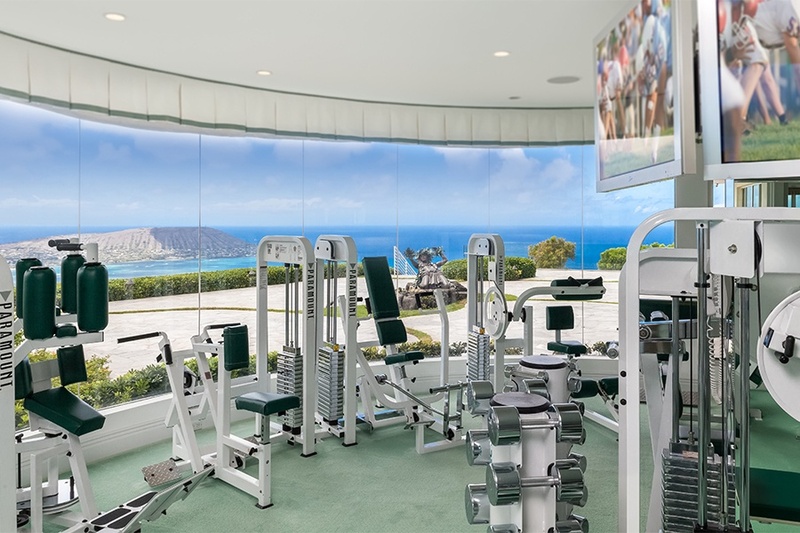 The fitness room of this glamorous Honolulu mansion boasts majestic panoramic views of the Pacific, enhancing the appeal of home workouts. Combining the glamour of Hollywood and the sophistication of New York City, this opulent hillside Honolulu retreat serves up panoramic views of Lanai, Maui, and Molokai from nearly every angle. The property itself is a magical setting complete with a koi pond, tea pavilion, outdoor spa with hot tub, and tropical waterfalls. The 9,166-square-foot interior features grand entertaining spaces, a chef’s kitchen with professional-grade appliances, plus a master suite with its own movie projector and drop-down screen. Fitness enthusiasts will appreciate the ocean-facing exercise room outfitted with an array of equipment and free weights as well as multiple television screens. With space for just about any type of weight-training equipment, this brightly lit Bermuda gym also has its own steam shower. This Mediterranean-meets-Bermuda residence offers seaside luxury and multiple amenities. Set on three acres with south-facing ocean views, the elegant 1947 home has six bedrooms, six bathrooms, a cedar-panelled library with fireplace, a media room, and—for the athletically inclined—a spectacular home gym with its own steam shower. A tennis court with a shady pavilion and changing room—plus a pool with its own pavilion and wet bar—complete the package of this retreat located just moments from some of Bermuda’s best beaches and a nature preserve. 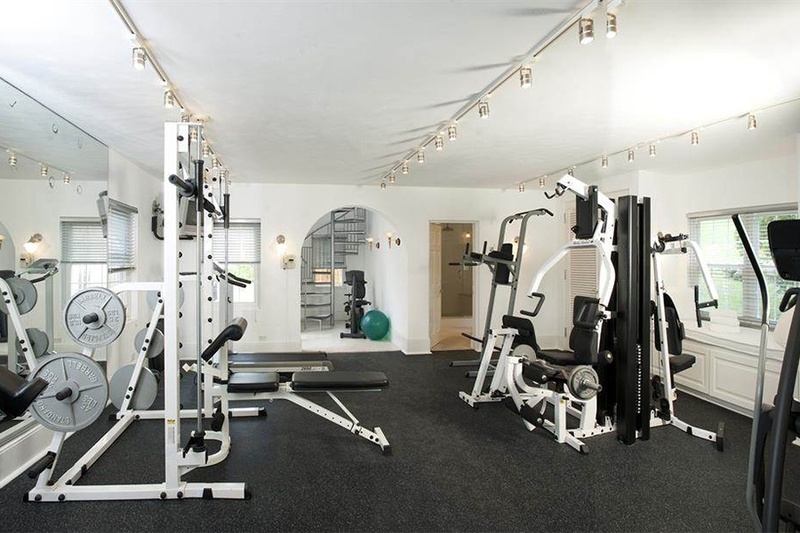 The spacious home gym in this New Jersey Georgian-style home is roomy enough for a range of fitness equipment., and its wall of mirrors will help exercisers ensure that good form is second nature. From poolside cabanas to open-air living rooms, elegantly appointed outdoor spaces are a key selling point in today’s luxury market. Long gone are the days when a simple pool and patio set would do to maximize the value of your luxury home. 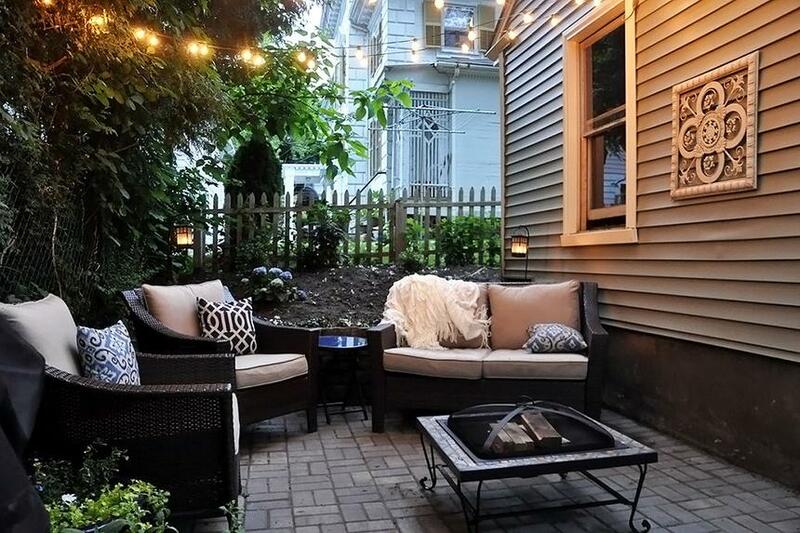 Outdoor living as defined by today’s luxury market doesn’t entail a few extras on a long list of amenities as much as it does a true extension of a home’s interior living spaces, and a seamless blend of interior with exterior. The furniture, textiles, and overall design of outdoor living rooms, terraces, and poolside patios are carefully considered as yet another reflection of a home’s design aesthetic. Outdoor living spaces are well on their way to becoming a requisite rather than simply a value-add; responding to buyer demand, the global luxury market continues to raise the bar for outdoor luxury ever higher. This week in “Luxury Defined,” global experts in the Christie’s International Real Estate Affiliate network share six trends for bringing the indoors out. Fully realized alfresco living rooms are distinguished by one signature feature: fire. Whether a dramatic stone hearth and fireplace, a firepit, or a chiminea, a fire element turns an outdoor space into an outdoor room that can be used year-round in warm-weather states throughout the U.S., including Florida, California, Texas, and Arizona. 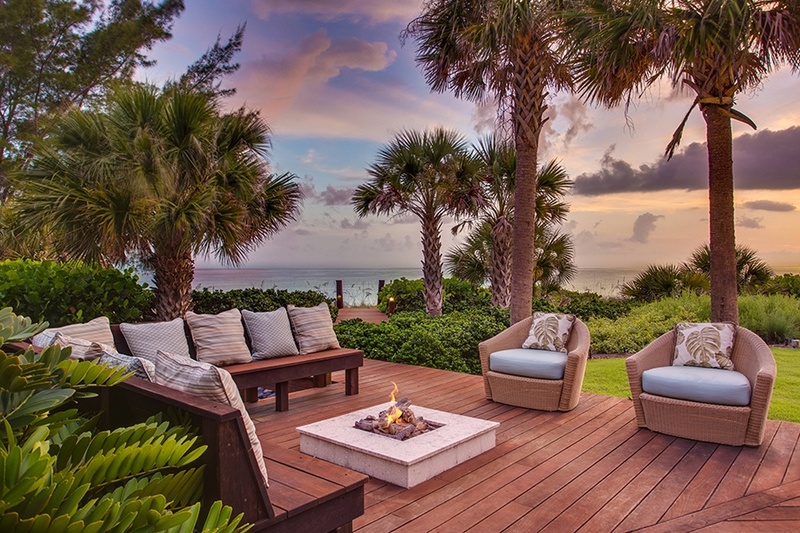 “Florida’s weather is such that you can do virtually all of your living and entertaining alfresco, especially during the winter months, when the weather is characteristically warm and dry during the day and deliciously cool and comfortable at night,” says Michael Saunders of Michael Saunders & Company. Fire elements generate warmth and a welcoming ambiance; additionally, two-sided fireplaces can create a natural separation between outdoor spaces, such as a living room and dining area. Fire elements provide warmth and enhance the ambiance of the outdoor living room of this luxury home in Nokomis, Florida. This deluxe poolside cabana creates the sense of a true private oasis on the grounds of a summer retreat in Nantucket, Massachusetts. “Carefully selected furniture adds to the sense of stylish outdoor living,” says Maria Gryllaki of Ploumis Sotiropoulos. 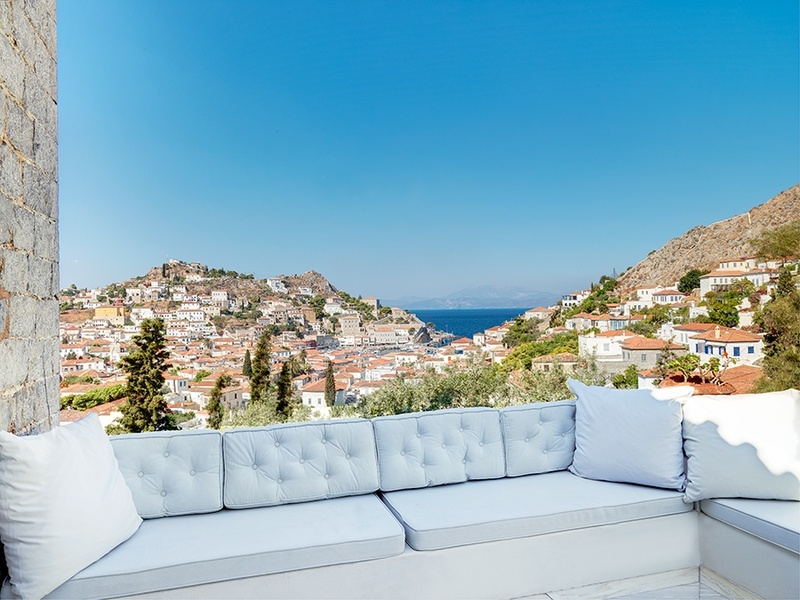 Gryllaki has worked with numerous properties in Greece where the designer treatment has been given to the outdoor patios and terraces of centuries-old villas: importing pieces from shops as far-ranging as London and Hong Kong adds just the right touch of contemporary sophistication. Comfortable, elegant seating and pillows done in luxurious fabrics further blur the lines between indoor and outdoor living. The patios and terraces at this centuries-old villa in Hydra, Greece, have been designed with great care so as to blend the old with the new. Oceanfront estates from California to the Caribbean are being designed with an open-air concept that takes full advantage of the desirable weather and gentle ocean breezes. The concept is essentially built into a home’s design, notes Peyton Cabano from Willis Allen Real Estate. Architects are bringing the outside in by creating permanent, covered living spaces with all the same amenities as an indoor family room, living room, or kitchen— only one or more walls are absent. 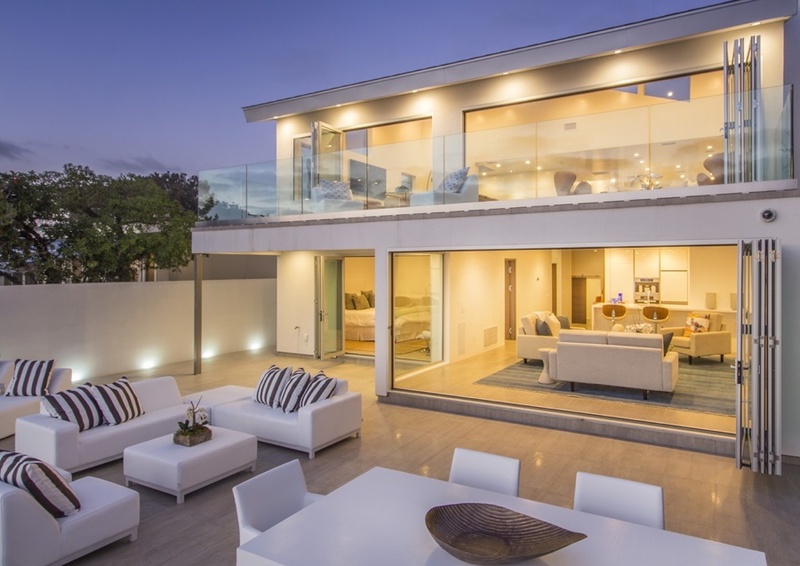 Expansive open spaces, vaulted ceilings, and wall-to-wall disappearing glass doors afford unparalleled ocean views. 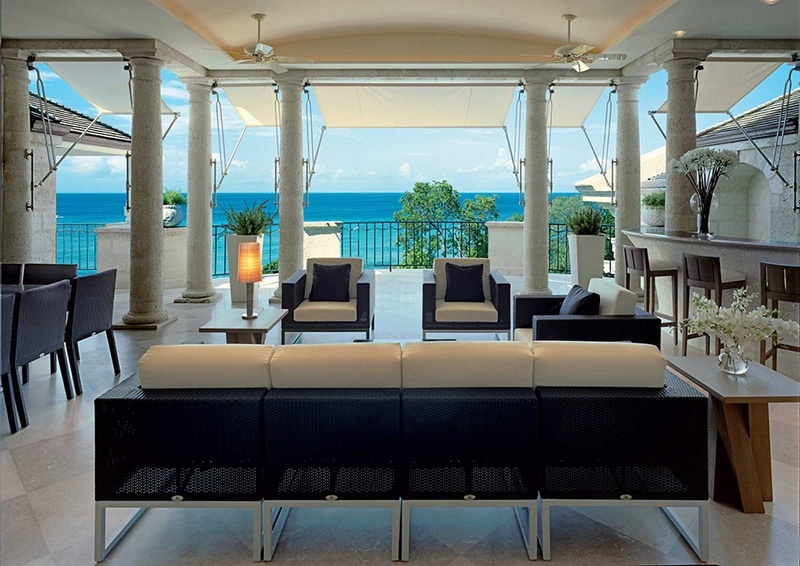 Arguably the most luxurious property ever built on Barbados, One Sandy Lane features residences designed with indoor-outdoor living in mind. Dining outdoors against the backdrop of a breathtaking natural vista is a cherished tradition amid the desert landscape of the American Southwest and the majestic mountain ranges of Colorado, Wyoming, and Montana. In these places of rugged, natural beauty, understated elegance is best, so as not to take away from the grandeur of the surroundings. That being said, outdoor dining sets have come a long way. Today they are made in a variety of materials that are both luxurious and able to stand the test of time and the elements; teak and cypress are popular choices. Tabletop flourishes including candles, floral arrangements, and elegant tableware and stemware set the stage for an unforgettable evening under the stars. 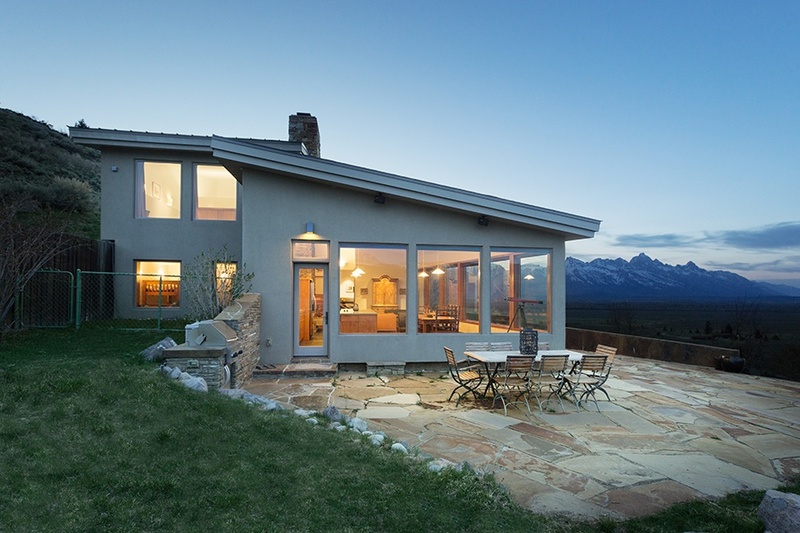 Spectacular views from the patio of this Jackson Hole, Wyoming, retreat are the ultimate backdrop for an evening under the stars. 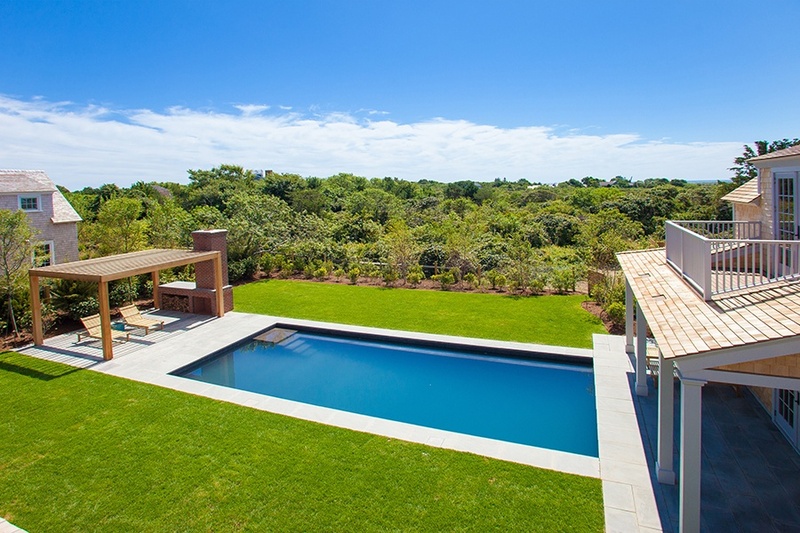 Ocean Home magazine reports that the latest iteration of pool design trending in the northeastern states—including the tri-state area of New York, New Jersey, and Connecticut—is inspired by nature. Characterized by forest-like landscaping, rock work, and water elements that one might happen upon during a stroll through the woods—waterfalls, lily pad–topped ponds—these designs are as much about creating an environment as they are about the actual pool. Taking a page from nature’s playbook doesn’t mean scaling back on luxurious finishes, however. These homes may well have an outdoor kitchen or firepit, or perhaps both. Featuring a cascading waterfall, natural rock work, and landscaping evocative of a forest, this stunning pool at an estate in Holmdel, New Jersey, characterizes the natural-pool trend. I heard on the news today that one of my favorite food stores Trader Joe’s has a positive effect on housing prices. It seems that homes that are located within 1 mile of Trader Joe’s or Whole Foods are worth twice as much as the national median. In a study of home prices between 1997 and 2014, it states that within 2 years of Trader Joe’s stores opening in an area, the homes are worth 10% more than similar homes in areas without Trader Joe’s. Interesting, eh? All I know is that I am 100% happier within 2 days of a Trader Joe’s opening near me. I lived in California for 20 years and I happily shopped there every week. When I moved back to Annapolis, Maryland no Trader Joe’s were to be found. Within a couple of years, it arrived. Now I live in St Petersburg, Florida and after 8 years of living here, Trader Joe’s opened a store within 5 minutes from my house and office. Hooray!! You see, good things happen to those who wait. Thanks Trader Joe’s! And no, I am not getting any money from them-yet-hint, hint.